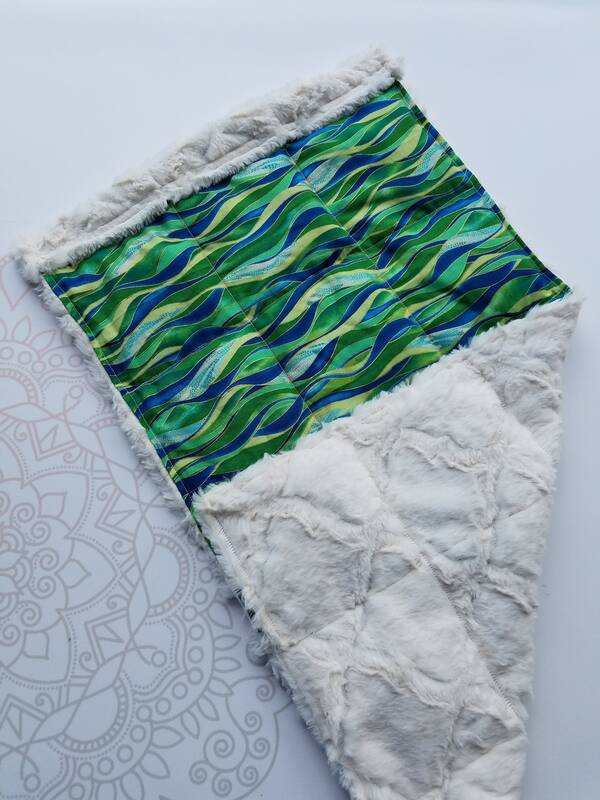 Custom Minky Weighted Blanket. 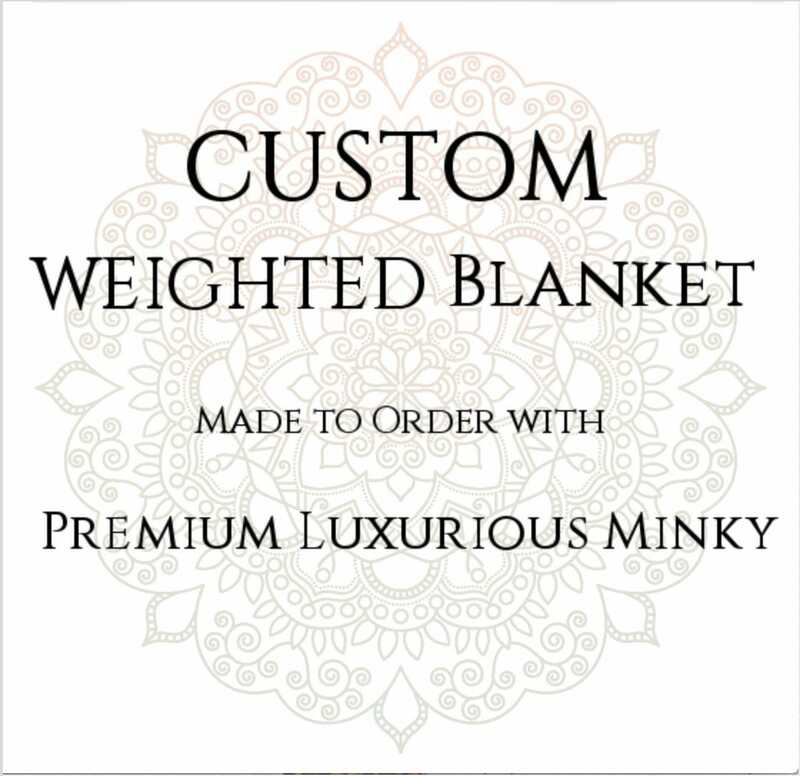 Choose your fabrics for your new luxurious minky weighted blanket. 1. 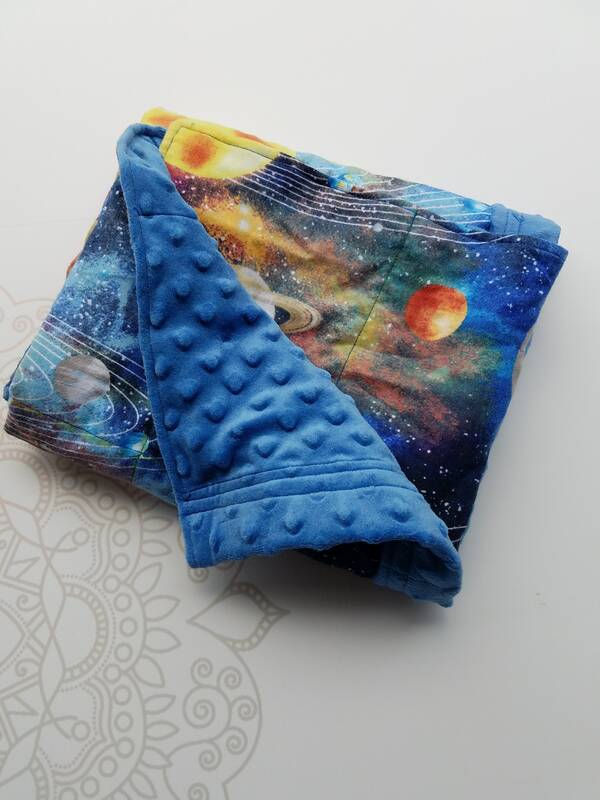 Select your front fabric, we have hundreds of options available for one side of your blanket, so much in fact that we cannot fit them all into this listing. Any patterned or solid color fabric that we have listed in our shop as a MADE TO ORDER option is available. If you do not see something you like please feel free to visit fabric.com and select any quilting cotton, or 100% cotton fabric option. Please ensure there is a stock level on fabric.com of at LEAST 10 yards available for the fabric that you want. Please select from CUDDLE DIMPLE MINKY, CUDDLE SOLID MINKY, or EMBOSSED MINKY. 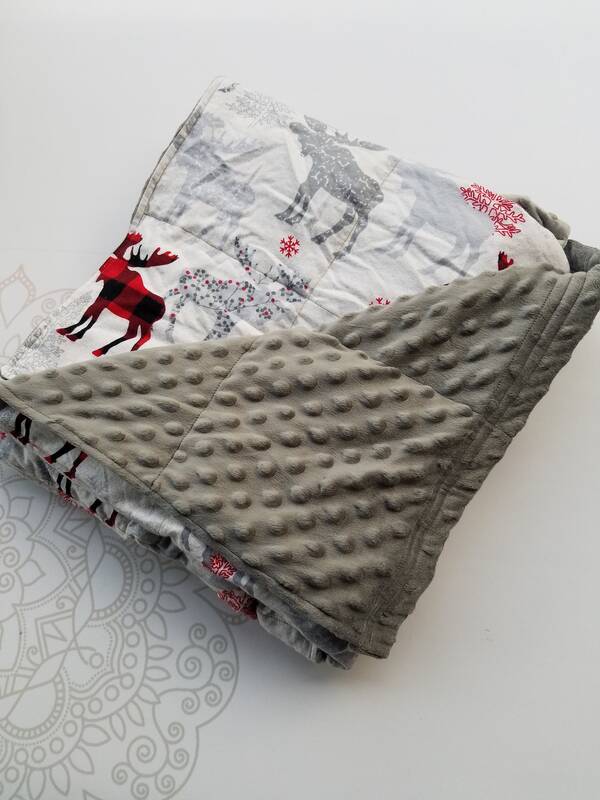 Our experience has proven that NOT ALL MINKY fabric makes the best weighted blankets. 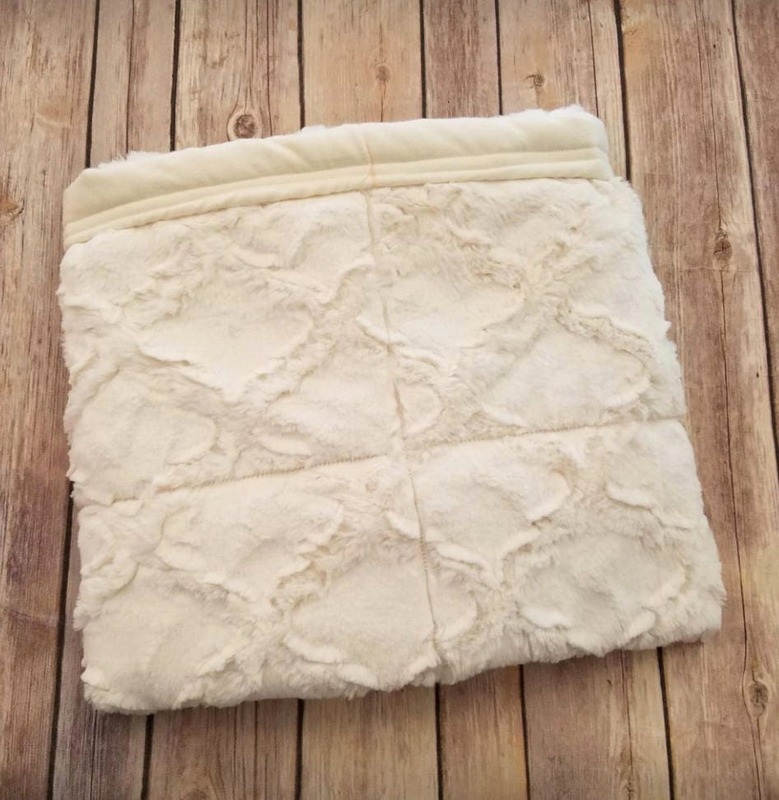 While soft and extra fluffy, some of the "shaggy" and extra thick minky fabric has a very loose weave and cannot hold the weight for long term use and longevity. 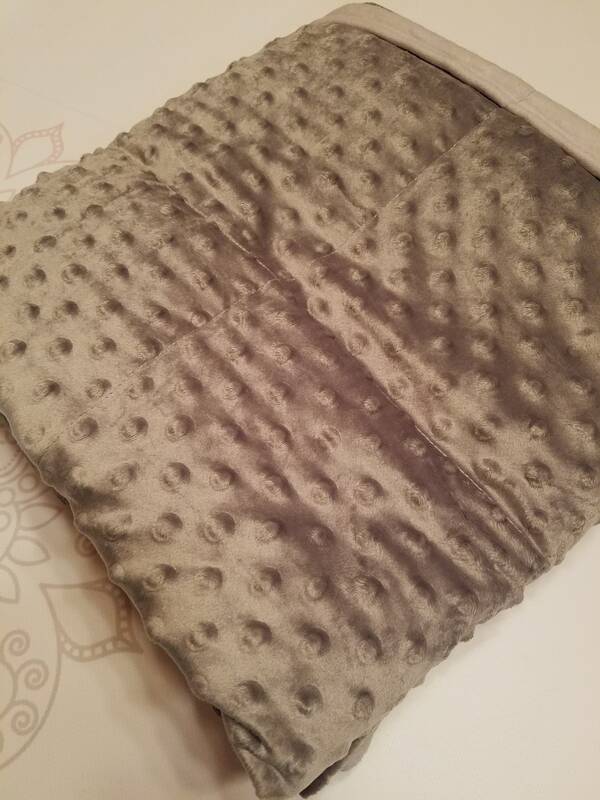 If you have any questions, please message us prior to ordering and let us know your thoughts on minky and we can tell you if it would be suitable for a weighted blanket. In the COMMENT BOX at checkout write the DESCRIPTION of the fabric you selected. Also select a backing fabric, it may be a print or a solid but you NEED to specify what you would like. 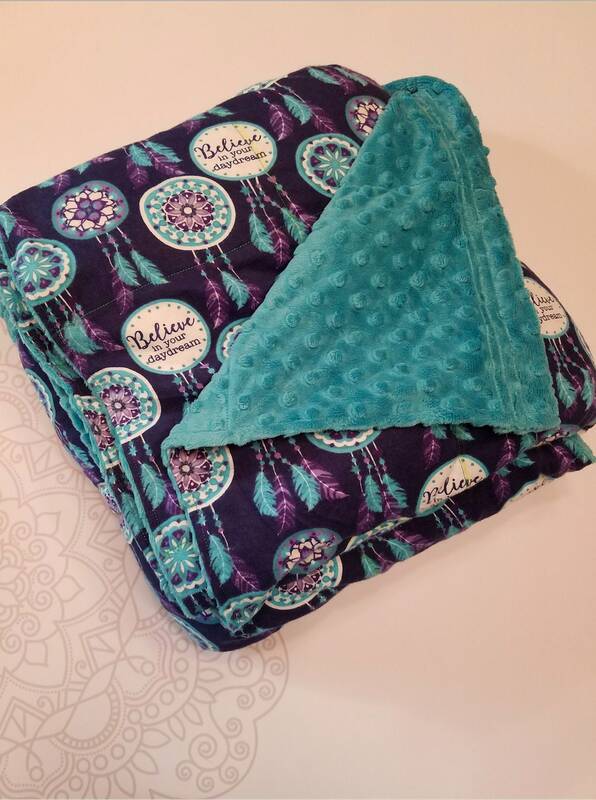 *Please note that while great care is given to ensure ALL fabric listed has ample yardage left for ALL sizes of blankets offered, some fabrics might not have enough yardage to create the largest of blankets available. If for some reason enough fabric is not available you will be notified right away for alternatives and/or upgrades for your purchase. Thank you for your understanding and cooperation. To choose your fabrics, please look at the following sites or send us a conversation via etsy messenger. 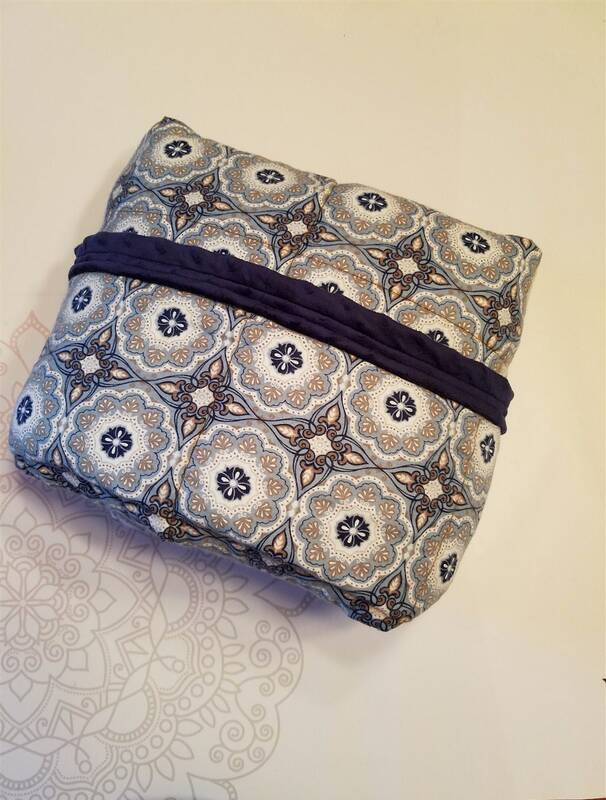 *IF THERE IS NO FABRIC SELECTION MADE AT TIME OF CHECKOUT YOU WILL BE CONTACTED* Upon contact, if no correspondence if received within ONE WEEK of purchase your order will be filled with a SOLID color weighted blanket at the discretion of the seller in either black, gray, or navy. Please remember that ALL SALES ARE FINAL and once you purchase, there are NO REFUNDS for any reason. The glass bead filling is an UPGRADE. If you do not purchase the glass bead upgrade listing your blanket will not be filled with glass beads even if you write it in the comment box at checkout. There is an extra fee for the glass beads. Price of this listing includes fabrics that retail on fabric websites of $14.99 or LESS per yard. If the fabric you desire is more than $14.99 per yard, please contact shop for additional fee to use the fabric you desire. Please do not select fabric that is "knit" or "canvas," these fabrics do not make for a comfortable weighted blanket. Knit is very very stretchy and canvas is very thick and tends to feel very "scratchy." My niece really likes it! Thank you! 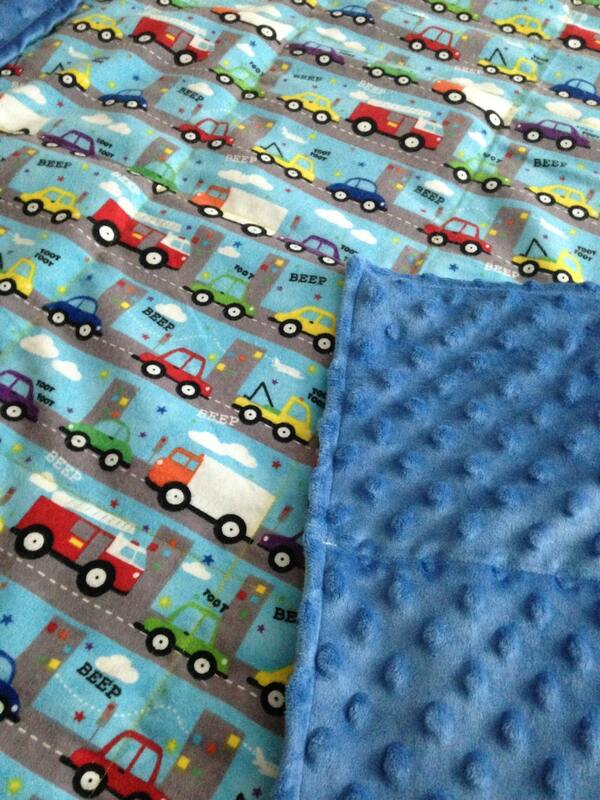 Originally bought 1 blanket for my son - we loved it so much we bought 2 more - one for my other son and one for myself! The seller was super easy to work with and responsive to questions. My daughter loves her weighted blanket. This blanket is AMAZING. Perfect size, the fabric is soft, and the shop was wonderful to deal with. I’ve been under this blanket pretty much all day, and I’ve never been so calm and not anxious ever. Absolutely in love with my son's blanket. My daughter loves it so much I ordered her one too!! !